As the influence of the Sun's magnetic field and solar wind grow weaker, both Voyager robot spacecraft eventually will pass out of the heliosphere and into the interstellar medium. 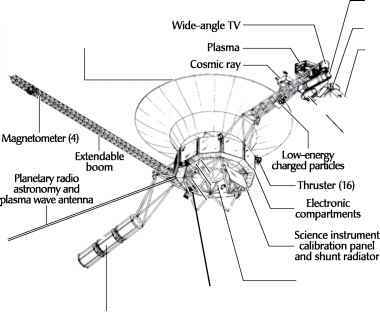 Through NASA's Voyager Interstellar Mission (VIM) (which began officially on January 1, 1990), the Voyager 1 and 2 spacecraft will continue to be tracked on their outward journey. The two major objectives of the VIM are an investigation of the interplanetary and interstellar media and a characterization of the interaction between the two, and a continuation of the successful Voyager program of ultraviolet astronomy. During the VIM, the spacecraft will search for the heliopause (the outermost extent of the solar wind, beyond which lies interstellar space). Scientists hope that at least one Voyager spacecraft will still be functioning when it penetrates the heliopause and will provide them with the first true sampling of the interstellar environment. Barring a catastrophic failure on board either Voyager spacecraft, their nuclear power systems should provide useful levels of electric power until at least 2015. Each Voyager spacecraft has a mass of 1,815 pounds (825 kg) and carries a complement of scientific instruments to investigate the outer planets and their many moons and intriguing ring systems. These instruments that are provided electric power by a long-lived nuclear system called a radioisotope thermoelectric generator (RTG) recorded spectacular close-up images of the giant outer planets and their interesting moon systems, explored complex ring systems, and measured properties of the interplanetary medium. 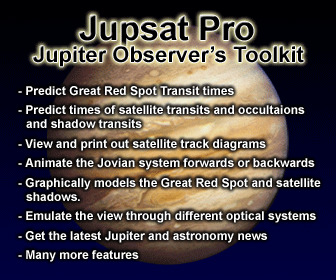 Once every 176 years, the giant outer planets—Jupiter, Saturn, Uranus, and Neptune—align themselves in such a pattern that a spacecraft launched from Earth to Jupiter at just the right time might be able to visit the other three planets on the same mission, using a technique called gravity assist. NASA space scientists named this multiple giant-planet encounter mission the Grand Tour and took advantage of a unique celestial alignment opportunity in 1977 by launching two sophisticated spacecraft, called Voyager 1 and 2. The Voyager 2 spacecraft lifted off from Cape Canaveral, Florida, on August 20, 1977, on board a Titan-Centaur rocket. (NASA called the first Voyager spacecraft launched Voyager 2 because the second Voyager spacecraft to be launched eventually would overtake it and become Voyager 1.) Voyager 1 was launched on September 5, 1977. This spacecraft followed the same trajectory as its twin (Voyager 2) and overtook its sister ship just after entering the asteroid belt in mid-December 1977.
on to encounter both Uranus (January 24, 1986) and Neptune (August 25, 1989) successfully. Space scientists consider the end of Voyager 2's encounter of the Neptunian system as the end of a truly extraordinary epoch in planetary exploration. During the first 12 years since they were launched from Cape Canaveral, these incredible robot spacecraft contributed more to the understanding of the giant outer planets of the solar system than was accomplished in more than three millennia of Earth-based observations. Following its encounter with the Neptunian system, Voyager 2 also was placed on an interstellar trajectory and (like its Voyager 1 twin) now continues to travel outward from the Sun. Since both Voyager spacecraft would eventually journey beyond the solar system, their designers placed a special interstellar message on each in the hope that perhaps millions of years from now some intelligent alien race will find either spacecraft drifting quietly through the interstellar void. If they are able to decipher the instructions for using this record, they will learn about the contemporary terrestrial civilization and the men and women who sent Voyager on its stellar journey. 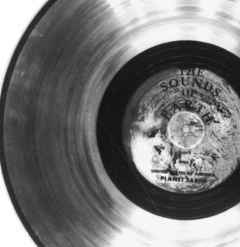 The Voyager interstellar message is a phonograph record called "The Sounds of Earth." Electronically imprinted on it are words, photographs, music, and illustrations that will tell an extraterrestrial civilization about planet Earth. Included are greetings in more than 50 different languages, music from various cultures and periods, and a variety of natural terrestrial sounds such as the wind, the surf, and different animals. The Voyager record also includes a special message from former President Jimmy Carter (1924- ). The late Carl Sagan (1934-96) described in detail the full content of this phonograph message to the stars in his book Murmurs of Earth. time for one rotation of the record, 3.6 seconds. Here, the time units are 0.70 billionths of a second, the time period associated with a fundamental transition of the hydrogen atom. The drawing further indicates that the record should be played from the outside in. Below this drawing is a side view of the record and the stylus, with a binary number giving the time needed to play one side of the record (approximately one hour). 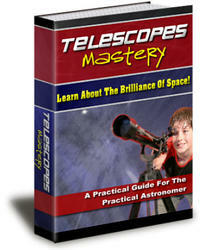 properly decoded the terrestrial pictures. A circle was selected for this first picture to guarantee that any aliens who find the message use the correct aspect ratio in picture reconstruction. Finally, the drawing at the bottom of the protective aluminum shield is that of the same pulsar map drawn on the Pioneer 10 and 11 plaques. The map shows the location of the solar system with respect to 14 pulsars, whose precise periods are also given. The small drawing with two circles in the lower-right-hand corner is a representation of the hydrogen atom in its two lowest states, with a connecting line and digit 1. This indicates that the time interval associated with the transition from one state to the other is to be used as the fundamental time scale, both for the times given on the protective aluminum shield and in the decoded pictures.